In continutation of my A-Z for Escentual.com today’s post focuses on the naughty world of Etat Libre d’Orange. From the weird and wonderful to the downright disgusting Etat Libre d’Orange is a brand that never fails to shock, surprise and wow with their range of exciting and unique perfumes. Click on the image above to head over to the Escentual Blog and read about my favourite picks from one of my most loved brands. Image via Escentual. I am affiliated with Escentual.com and write as their Fragranc Expert/Blogger. 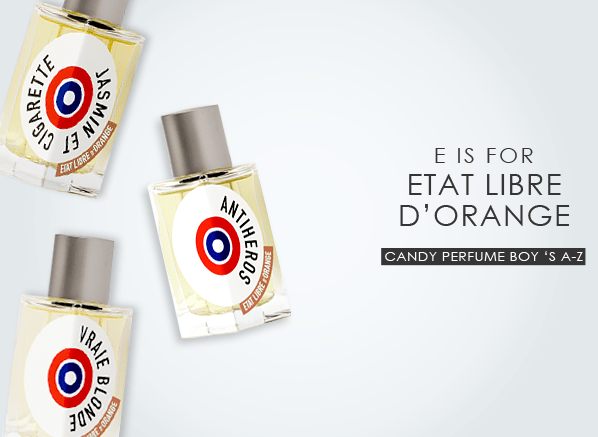 Posted in Escentual, Etat Libre d'Orange and tagged Escentual.com, Etat Libre d'Orange, The Escentual A-Z of Fragrance. Bookmark the permalink.